The iPad has consistently been the best of the best in the world of tablets. 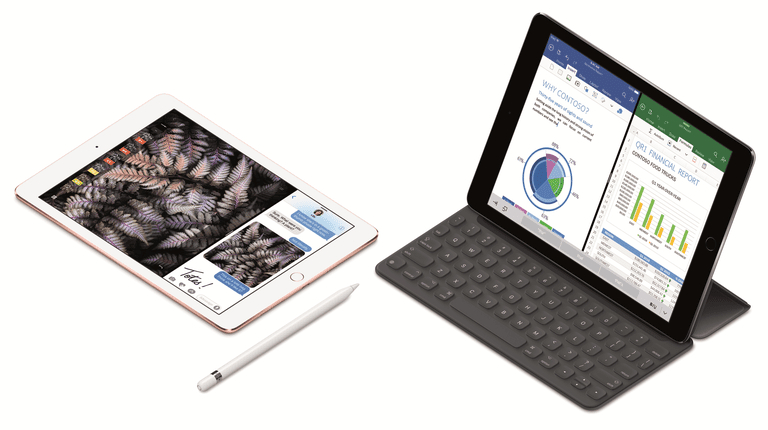 Each new release seems to set a new threshold, with the latest iPad Pro rivaling the power of most laptops. But while it is easy to choose an iPad, it is not so easy to narrow that choice down to a specific iPad. The iPad lineup is now broken into the Pro level of tablets to go along with the basic iPad models. The iPad Pro introduced the world to the 12.9-inch iPad display, and the newest iPad Pro has ditched the Home Button in favor of Face ID, which is powered by facial recognition. The move to Face ID means the latest iPads combine large, beautiful displays with a slimmer form factor. They also support a second generation Apple Pencil and include a USB-C port instead of the Lightning connector. Apple replaced the iPad Air 2 with the iPad, which is often referred to by the year it was released. The latest version is called the iPad (2018) and is the cheapest iPad at $329. This is the iPad designed for every day use around the house and is great for kids. The iPad Mini 4 also remains in production, but the iPad Mini 4 may not be the best iPad to buy when you consider its smaller size, slower processor and higher price tag when compared to the 2018 iPad, it may be better to go with the 9.7-inch model or buy a used iPad. If you plan on purchasing a brand new iPad, this chart represents the iPad models currently for sale. It is worth noting that the iPad Mini 4 has not been updated since 2015. The following chart iterates the differences between the older lineup of iPad Pro models that are not currently available new. However, you can buy these models from the refurbished Apple store. The most recent version of the 9.7-inch iPad was released in 2018 and supports the Apple Pencil. It also has an upgraded processor compared to the 2017 model, but is otherwise functionally the same. You can still buy the other 9.7-inch models including the Air and Air 2 used and get a great deal. While Apple no longer manufactures these models and they are no longer for sale on Apple's website, they may still be found in stores. However, you may be able to get a good price for these models by buying a used iPad. Is your iPad obsolete? Find out if your current iPad is ready for an update. Half of All iPads Are Obsolete. Is Yours One of Them?